Kristianna Post (Kristi) joined the GINGER program in January 2017 as the team’s Program Manager. As Program Manager, Kristi supports both curriculum development and overall execution of the program’s training components including in-person workshops, virtual coursework and on-site trainings. Prior to joining GINGER, Kristi spent seven years in the field of international development, during which her work focused primarily on the design and execution of randomized controlled trials that evaluated the effectiveness of development program interventions. Kristi also has extensive experience designing and implementing capacity building programs. She has developed programs for academic institutions, multi-lateral organizations and non-profit organizations across the United States, South and Southeast Asia, East Africa and Latin America. 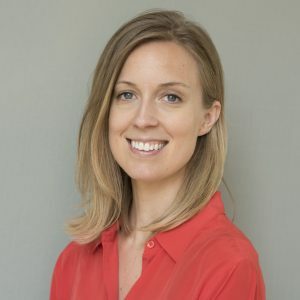 Kristi holds an MSc in International Development and Behavioral Decision Science, has resident work experience in Kenya, Vietnam and Tanzania and is currently serving as a reviewing member of an Institutional Review Board that implements RCTs globally.